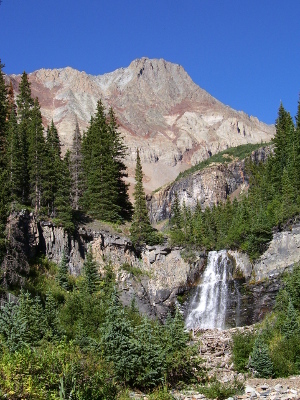 The banner photo for this website and the picture to the right are of Kilpacker Basin, a secluded, hiker-accessed valley with a stunning panorama. In recent years, during a backpacking trip, I sat at the base of its falls and read a book while my husband was climbing a few nearby peaks. Reading and enjoying nature are gifts that go hand in hand when it comes to our mental, emotional, and physical well-being. Children who experience and enjoy both will grow into healthy adults, mentally alert and physically adept. Both reading and spending time in nature can reduce stress, promote tranquility, and increase the ability to focus and concentrate (yes, even in children). It has been medically suggested that spending time in nature boosts the immune system, improves mood and sleep, accelerates one’s recovery from surgery or illness, and increases healthy energy. And, of course, as you probably already know (since you’re looking at a website about books), the benefits of reading also include mental stimulation, increased knowledge and vocabulary, improved memory, and stronger analytical and writing skills. With these benefits in mind, Kilpacker Books desires to educate children about our country’s history through carefully-researched, adventure-filled fictional stories with occasional emphasis on each story’s surrounding natural beauty. Tidbits on how to remain safe while enjoying the outdoors are also woven into the narratives.